Our readers care about their own health, protecting our oceans, and getting what they pay for. 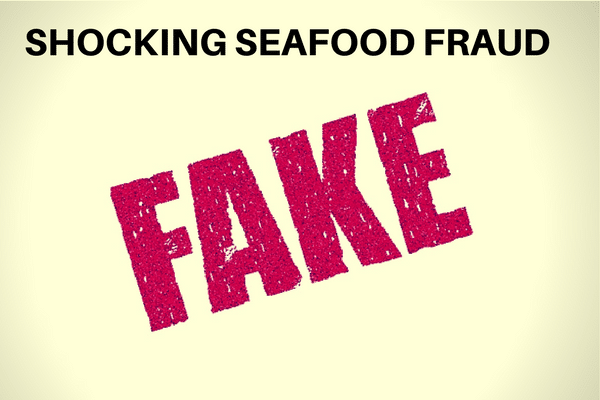 These are three things that seafood fraud threatens. A recent study published by UCLA and Loyola Marymount University shows that the situation is more dire than we ever could have thought. While our tastebuds and eyes may be fooled, DNA analysis is much harder to trick. Roughly half of the sushi tested was mislabeled. Halibut and red snapper are the two most fraudulently mislabeled fish. The researchers say that seafood fraud is not only constrained to restaurants, and that even purchasing fish from the grocery store can result in going home with a different species. When you look at the high prices that halibut commands, you can see how those engaging in fraudulent behavior are profiting immensely. Flounder is often replaced. In the study, interestingly enough salmon and tuna were less often mislabeled. There are a few possible reasons for this. Is it more difficult to pass off other fish for salmon and tuna, because of the distinct flavors and colors? Or are these species more highly regulated? The Pacific fishing industry, for instance, is a highly regulated industry which is part of the Catch Certification Program. It is a sad state of affairs when “almost always” getting what you pay for is in the upper echelon of reliability, but that is exactly where tuna is. While bluefin tuna was always exactly as ordered, yellowfin tuna was occasionally swapped for the at-risk bigeye tuna. Those of us who research ethical seafood choices before eating sushi are losing our autonomy of choice, swindled into dining on at-risk species. This shows an even darker side to sushi mislabeling. Where in some cases it is simply a matter of tricking customers to get a bigger profit, mislabeling at risk species is a way to get around environmental regulations. One thing is clear. The program that we recently reported on, Seafood Import Monitoring Program is needed more now than ever before. People deserve to know what they are paying for. People deserve to be able to make ethical buying choices. What is the solution to this problem? One solution would be to rely on both corporate responsibility which would allow consumers to respond with their wallets. While in most situations it is naive to rely on the well- being of corporations, the restaurant industry is one where consumers are very picky. A voluntary program where DNA testing is done on shipments, which in return would allow the restaurant to be certified as trustworthy, could sway the tide. Another option would be for more stringent government regulation, and increased programs like the Seafood Import Monitoring Program. What do you think can be done about Seafood Mislabeling? We would love to hear your opinion in the comments below. Do you think you’ve ever been served mislabeled fish?